Ep. 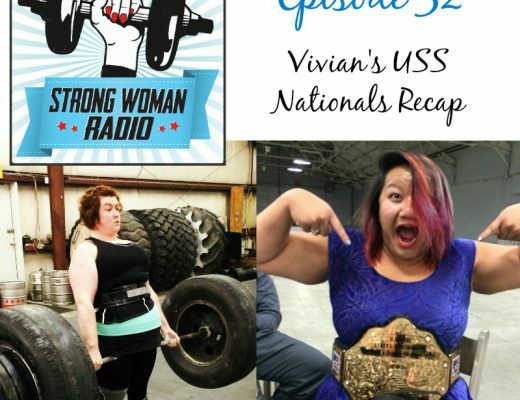 317: How Do I Weigh Quality and Budget in Meat Products? 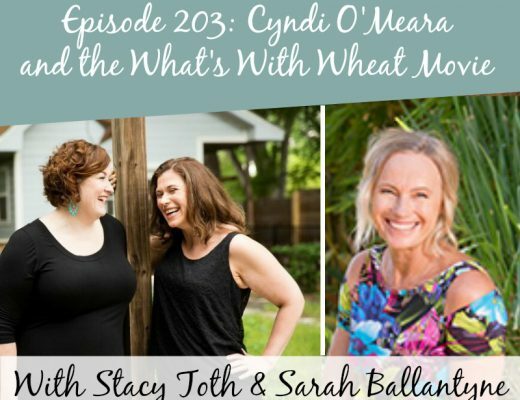 In this episode, Stacy and Sarah talk about the quality of meat products. What do all these terms like grass-fed, pasture-raised, and free-range mean? How do I select for quality and budget? And what should I weigh when my budget can’t handle all high quality meat? 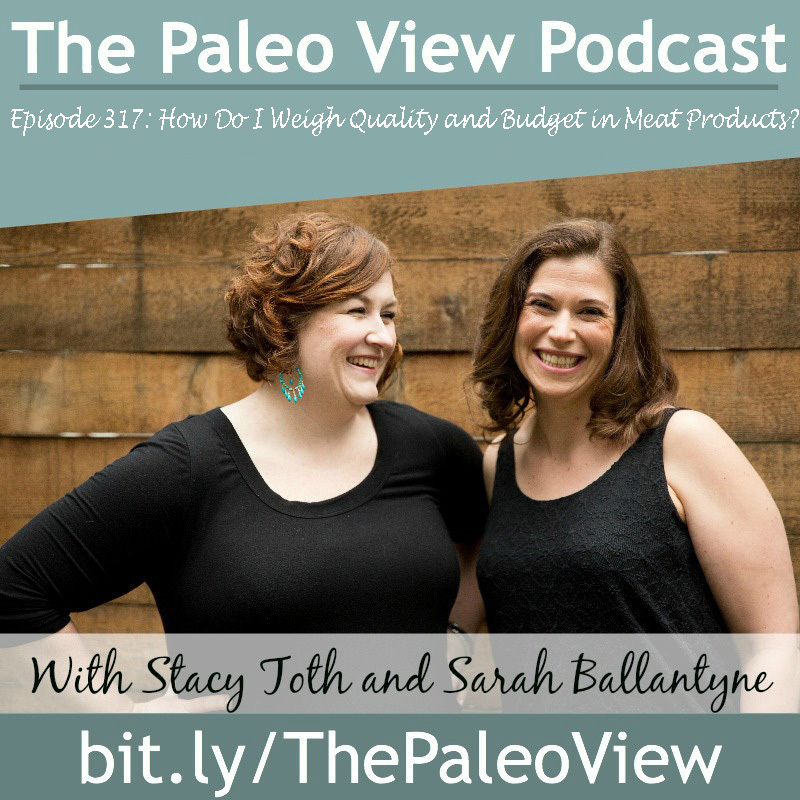 The Paleo View (TPV), Episode 317: How Do I Weigh Quality and Budget in Meat Products? Sarah is back from her camping! It was an eventful trip full of bears, poison ivy, and meeting park rangers! 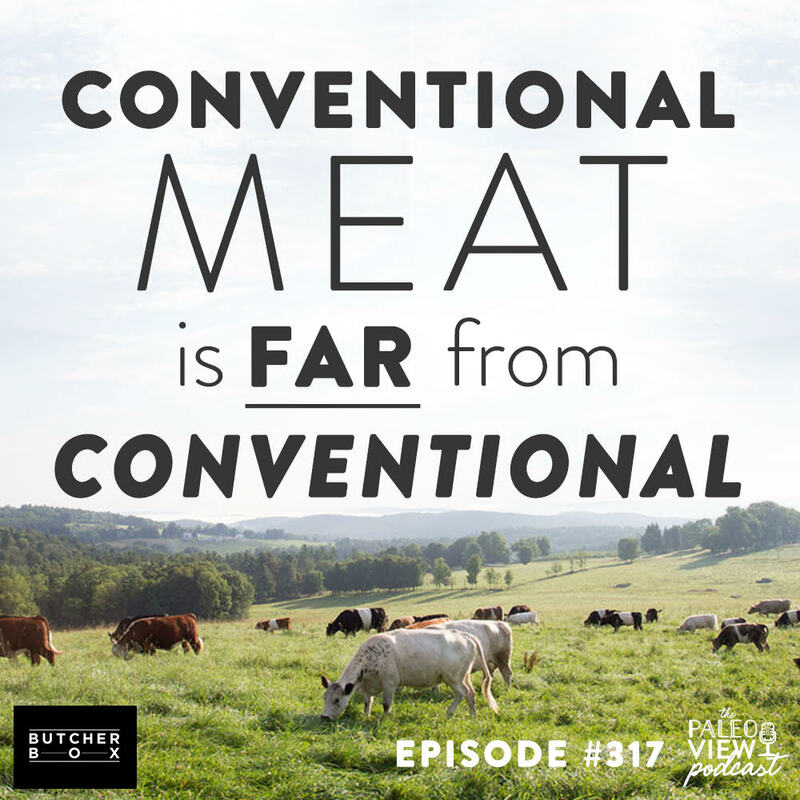 We’re talking meat quality, and have a deal for you from ButcherBox, the best subscription for high quality meats! Sarah has a subscription and loves it! You can also get items a la carte like Stacy does! First of all, there is no such thing as grass fed chicken! They are omnivores and don’t eat grass! Just like eating our natural diet makes us healthier, the same is true for animals. Check out Beyond Bacon about how much we love Pork! It only takes a few week of “grain-finishing” to eliminate most of the benefits of grass feeding! Organic is not the same as grass-fed; although grass-fed meat may also be organic, organic meat is not usually grass-fed. What is the benefits of grass fed? Grass-fed is higher in micronutrients: vitamin A (10 times more than grain-fed), vitamin E (three times more than grain-fed), higher in B vitamins, calcium, magnesium, and potassium. Grass-fed meat also tends to have a much lower water content and is much leaner than conventional meat, which means that it is higher in protein. Pigs are also omnivores; their natural diet includes plants of all kinds, bugs, small animals and carrion. Pasture-raised pigs are healthier too, with far, far lower rates of contamination with antibiotic-resistant strains of bacteria (notably salmonella and E. coli). The meat from pigs raised on pasture tends to be leaner overall, contains more omega-3 fats and less omega-6 fats, lower in saturated fat, higher in monounsaturated fat, and higher in protein, higher in vitamins B1 and B2, vitamin E, antioxidant phenolic compounds, and tends to be higher in zinc, copper and iron. Pork fat (lard) is one of the highest natural sources of dietary Vitamin D! See Beyond Bacon, of course, on how to make it! Pasture-raised chickens are healthier too, with far, far lower rates of contamination with antibiotic-resistant strains of bacteria (notably salmonella and E. coli). chicken contributes an average of 13 percent of the omega-6 content to the average American diet! “Free-range” isn’t enough to turn the fatty acid tables. Research focusing on the effects of different poultry farming methods (caged versus free-range) and diets (conventional, organic, or pasture access) have had mixed results and suggest that the labeling we associate with higher-quality chicken doesn’t guarantee a better fatty acid profile for the birds. Some studies of cereal-fed chickens with or without access to pasture show no difference in omega-3 to omega-6 ratio, unless the birds’ intake of cereal grains is deliberately restricted (which sometimes increases their levels of the omega-3 fats. Likewise, meat from chickens that pasture-graze in the spring but not in other seasons tends to have higher levels of omega-3 fats. And some studies of free-range versus conventional chicken have shown that free-range breast and thigh meat has a worse omega-3 to omega-6 ratio than the same meat from conventionally raised birds! One study found that chickens fed soy-containing diets had an omega-3 to omega-6 ratio of 1:8, while those fed soy-free diets had a much improved ratio of 1:3.
studies of chickens supplemented with large amounts of flax seeds were able to achieve a 1:1 ratio of omega-3 to omega-6 (although a high percentage was ALA as opposed to DHA and EPA). For comparison, a chicken labeled “organic free-range” had a typical ratio of 1:11.6, and a chicken labeled “non-organic free-range” had a ratio of 1:11.3. Studies of turkey have shown similar omega-3 to omega-6 patterns related to diet and forage access. Of course, grass-fed and pasture-raised meat tends to be more expensive. 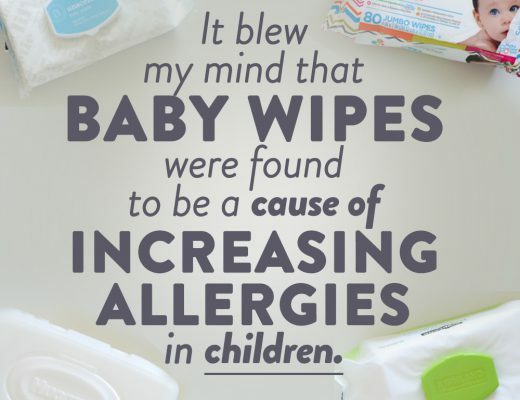 But, you’re getting denser protein, more vitamins and minerals and healthier fats! Get for grass-fed and pasture-raised when buying cheaper, fattier cuts (like 80/20 ground beef, a nicely marbled steak, or pork shoulder), since toxins are stored in fat and to take full advantage of the healthier fats and higher levels of fat-soluble vitamins in high quality meat. buy leaner cuts (strip steaks, chicken breast or pork tenderloin) from conventional sources. when we can’t afford to have all our meat come from grass-fed, pastured, and wild sources (or can’t access these products where we live), even conventional meat provides essential nutrition that we can’t do without.